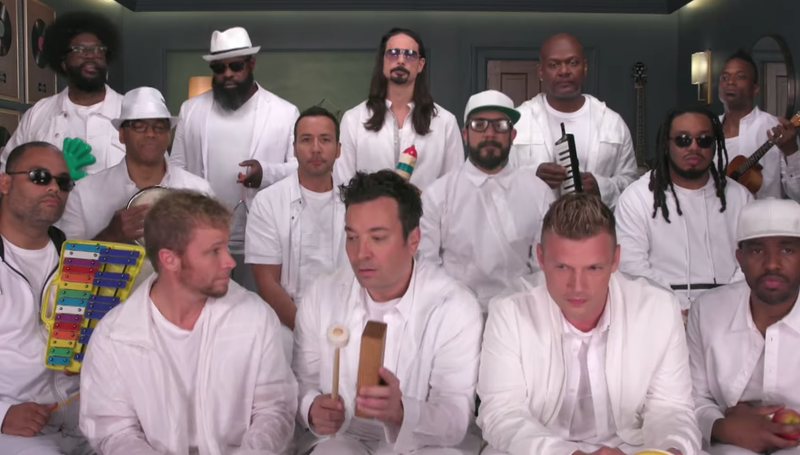 The Backstreet Boys are making a comeback and we are so unbelievably happy! The Backstreet Boys have been in the news quite a bit recently and we are very excited that they are making a bit of a comeback. A few weeks ago they released their brand new single 'Don't Go Breaking My Heart' and followed this with an appearance on the Tonight Show with Jimmy Fallon. One of the features that the show is famous for is 'classroom instruments' which fitted perfectly with one of the group's previous hits. They performed 'I Want It That Way' and it definitely took us back in time.